In episode #724, Eric and Neil discuss the channel you aren’t leveraging. Tune in to hear what new channel you need to try. [00:35] You aren’t leveraging the App Store! [00:38] Apple reported they have generated over $11 Billion in revenue from the App Store. [00:46] The Google App Store adds in even more revenue. [01:00] However, so few people are creating apps for their sites or products. [01:18] If you’re not on there, you are losing out! [01:35] It’s not a competitive space. [01:50] If you want more traffic, look for channels that are still growing. [02:10] A mutual friend of Eric and Neil’s used WP to build an app. [02:21] WP is how Marketing School and Growth Everywhere have apps. [02:40] Google Momentum is a great productivity add-on. [02:55] They just figured out how to start monetizing it. [03:30] Eric and Neil will try to leverage new channels all the time. If they don’t work, it’s not a big loss. [03:58] Look for tools like Buildfire, which will help you easily create and leverage an app in about an hour. [04:13] That’s it for today! [04:17] If you could take two minutes out of your day, we are trying to improve the listening experience for you, so go to Singlegrain.com/survey and help us gain some insight into what matters to our listeners. • What should I talk about next? Please let me know on Twitter - https://twitter.com/ericosiu or in the comments below. In episode #723, Eric and Neil count out the 7 lessons they learned from running software companies. Tune in to hear what lessons apply to your business. [00:43] A lot of the lessons Eric and Neil learned, could work for ecommerce and other internet-based businesses. [01:05] #1: It’s not all about the conversion plan. Optimize for lifetime value. [01:25] People typically pay for software on a month-to-month or annual basis and people often have to renew plans; this is a consistent revenue stream. [02:17] #2: It’s all about on-boarding. [02:40] First impressions matter and that applies to software, as well. [02:53] #3: You end up losing about 5% of your revenue because user’s credit card numbers expire. [03:08] To fix this, companies like GoDaddy sign up for a service called Visa and Mastercard Updater; Visa and Mastercard will automatically update user’s credit card details for a small fee. [03:50] #4: Use the “Jobs to be done” framework. [04:40] Set aside time for customer development. [04:48] #5: You only have one shot with customers. If someone uses your product and doesn’t like it, they will never come back. [05:07] First opinions tend to stick in the software world. [05:42] BuzzSumo and AHREFS did well because they created exceptional products. [06:30] #6: Get your pricing right! [07:03] Everyone is going upmarket. Charge for the value you think you are delivering. [07:23] #7: Pay attention to market trends and conditions. [07:30] KissMetrics was getting trounced by a competitor and didn’t adapt quickly enough. [08:01] That’s it for today! [08:03] If you could take two minutes out of your day, we are trying to improve the listening experience for you, so go to Singlegrain.com/survey and help us gain some insight into what matters to our listeners. 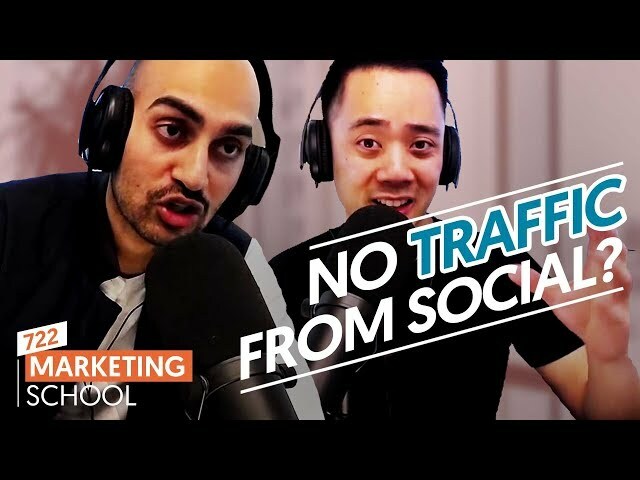 In episode #722, Eric and Neil discuss what you should do when a social network stops driving traffic to your site. Tune in to hear what your options are. [00:40] Neil has close to a million Facebook followers. When he had a few hundred thousand, he spent $400,000 on Facebook ads to gain a “shitload” of new followers. [01:10] Neil thinks of Facebook like a well. You want to have your own well, so you can keep getting water without spending money. [01:40] Neil’s strategy worked for a very long time, then Facebook changed their algorithm. [02:55] Twitter was better in the past, but overall the user growth hasn’t been great lately. [03:16] If you are able to build your own email list, you control that at the end of the day. [03:40] The cool part about Google is that they have learned not to penalize links, they just don’t count bad ones. 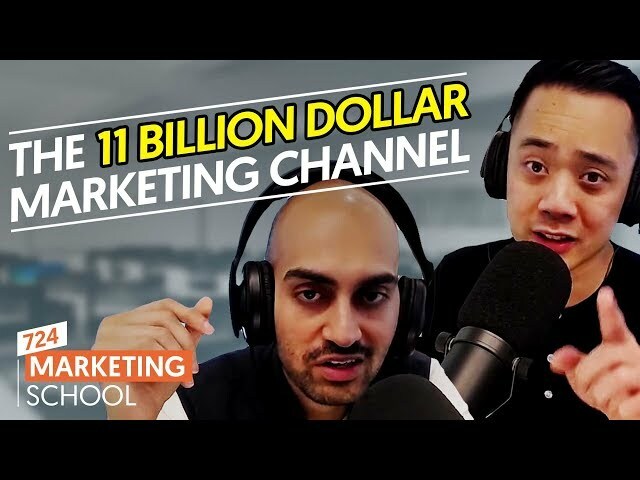 [04:15] The possibilities are endless and you should leverage more than just one channel. [04:44] Eric went from 4000 Twitter followers to 10,000, but traffic coming to his site has gone down. [05:07] Just because you are on these channels and your follower count is growing, doesn’t mean that you are going to do well. [05:20] Look for the social network or channel this is starving for your content. [05:49] That’s it for today! [05:58] If you could take two minutes out of your day, we are trying to improve the listening experience for you, so go to Singlegrain.com/survey and help us gain some insight into what matters to our listeners. [06:33] Go to Singlegrain.com/Giveaway for a special marketing tool giveaway! 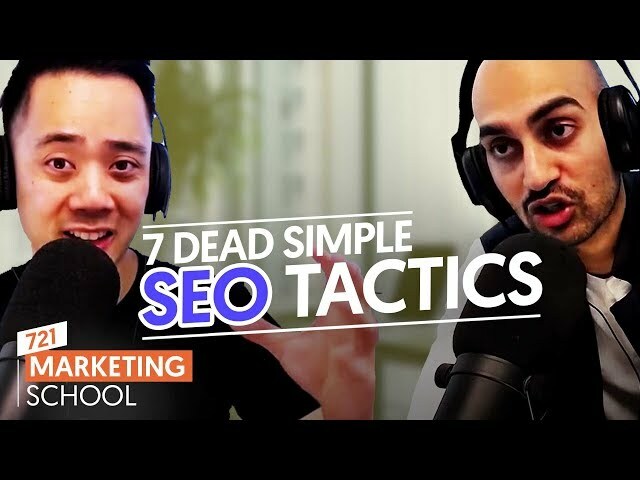 In episode #721, Eric and Neil count out 7 simple SEO tactics. Tune in to hear what you should be doing on your site. [00:33] #1: Upgrade your content. [00:40] Look at Wikipedia and Trip Advisor: there is constantly updated user content. [01:04] It’s a great tool for keyword research. [02:06] #3: The Skyscraper Technique. [02:15] Go out and look for top five posts about a certain keyword. [02:30] Make content that improves upon the original resource. [02:50] KissMetrics was popular because of their use of this visual content. [03:07] Go to BuzzSumo and look at the popular articles in your field and create infographics about the material. [03:43] #5: Use Google Search Console. [03:50] Look at top pages and top keywords that are ranking. [04:00] Add any keywords you don’t have. [04:08] #6: Use Google Search Console to search for top keywords. Integrate the most popular keywords. [04:50] #7: Go out and look at what content you can delete. [05:25] You can drive traffic this way or possible even lose traffic. [05:40] Neil thinks you should keep old content and just add updated versions. [05:46] That’s it for today! [05:49] Go to Singlegrain.com/Giveway for a special marketing tool giveaway! In episode #720, Eric and Neil discuss why marketers overspend. Tune in to hear why you are spending too much money. 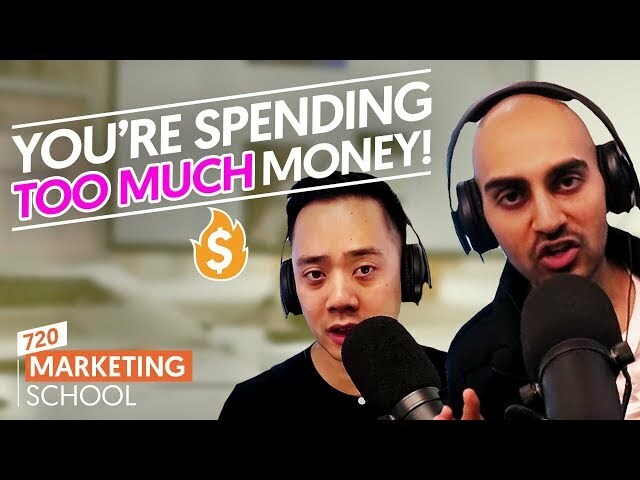 [00:27] Today’s Topic: You're Spending Too Much Money! [00:40] In marketing, everyone is about spending money. [01:15] When people hit Eric up, they are looking for advertising and SEO, but rarely conversion rate optimization. [01:40] SEO and content marketing are the best or most popular services. [01:57] If you're spending all this money on marketing, why wouldn’t you hire someone to reduce your expense by cutting the fat? [02:12] Hire someone full-time to just do conversion rate optimization. [03:00] Consider ways your office space can produce revenue. [03:22] AWS did $12 Billion in revenue. [03:35] Take the expense you have and figure out creative ways to make them profit-generating machines. [03:50] Example: your office could be an event space. [04:10] Optimize to get more out of your resources. 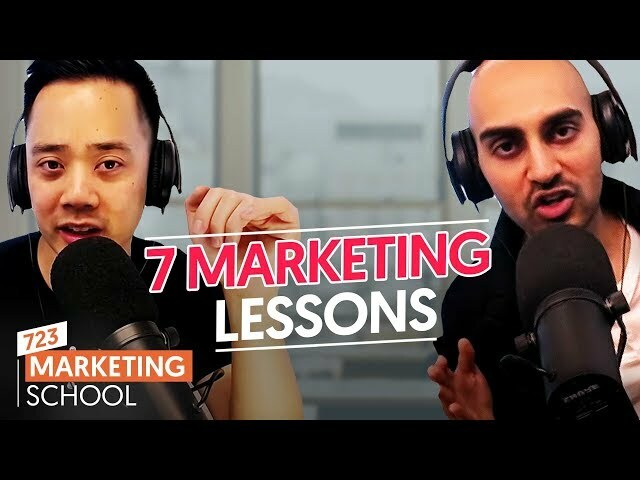 [04:50] Eric and Neil love marketing so much because there is so much room for creativity. [05:25] That’s it for today! [05:28] Go to Singlegrain.com/Giveway for a special marketing tool giveaway! In episode #719, Eric and Neil discuss the efficacy of midrolls. Tune in to hear whether you should drop the midrolls or keep them. 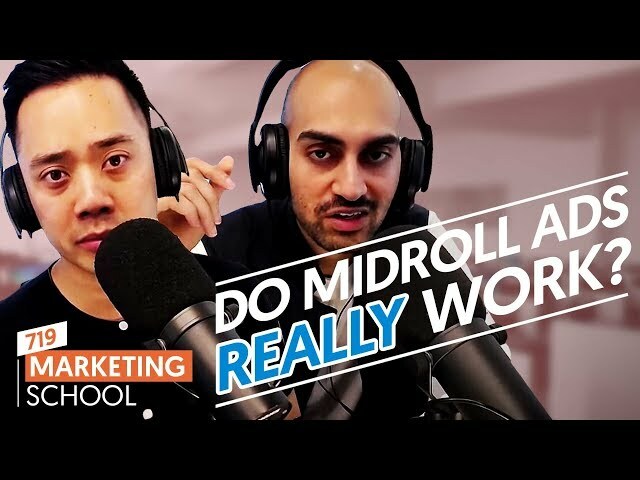 [00:27] Today’s Topic: Do Midroll Ads Really Work? [00:40] In podcasts, there are always ads in the middle of the show. [00:50] Most podcasters use this format, where they run ads in the beginning, middle, and the end. [01:35] Eric was looking at their Apple Podcast retention rates. [01:50] Becauses Growth Everywhere has a midroll, he checked the retention rates. [02:09] He lost 50% of people at the midroll, but it increased after the ad. [02:30] So, keep your midrolls, because people will just skip them, but will continue to listen and stay engaged. [03:20] Perhaps create a customized landing page to increase ROI. [03:50] Andrew Warner integrates his ads into the podcast episode, which increases sign-ups. [04:22] If you auto-insert ads, people will skip them. If you pay people for custom plugs, that will generate more revenue. [05:12] What Warner does is “native advertising”. [05:30] This way makes it less predictable. [05:50] That’s it for today! [05:56] Go to Singlegrain.com/Giveway for a special marketing tool giveaway! In episode #718, Eric and Neil discuss the reason people don’t buy from your site. Tune in to hear what could be blocking your conversions. [00:52] 95-99% of visitors will not convert and this happens because your website is pitching too much and you are not answering objections. 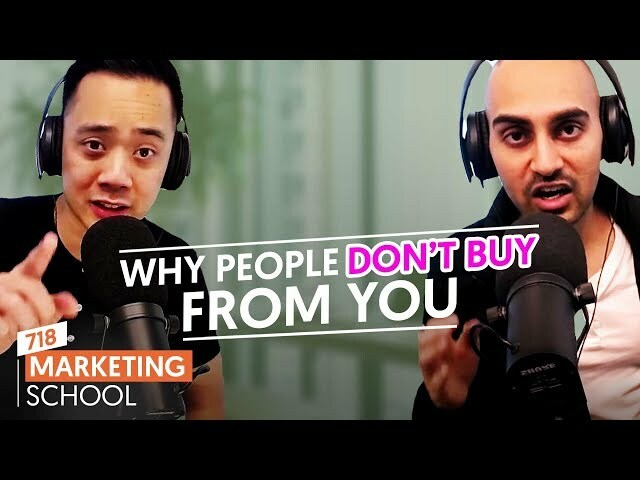 [01:23] If you don’t answer people’s objections, you are not going to increase your conversion rate. [01:36] Google Russell Brunson/Grant Cardone 10X speech. [01:45] As they pitch, they talk through objections. [02:32] This pitch created a buying frenzy. [02:48] Pamphlets were also put under people’s seats. [02:57] At Crazy Egg, they ended up hiring a company called Conversion Rate Experts. [03:06] They had an amazing consultant, John Jack. [03:22] John suggested they answer objections on their site; they followed his advice and conversion rates went up. [03:35] If you are not sure how to answer objections, survey your customers. [03:52] Look for the most common responses. [04:10] Crazy Egg has objection handling on their pricing page, checkout page, etc. [04:40] That’s it for today! [04:42] Go to Singlegrain.com/Giveaway for a special marketing tool giveaway!